Multi-tasking machining – 4-axis turning plus capability. Faster cycle times by simultaneously cutting with upper and lower turrets –such as O.D., I.D. and drilling and balanced cutting. 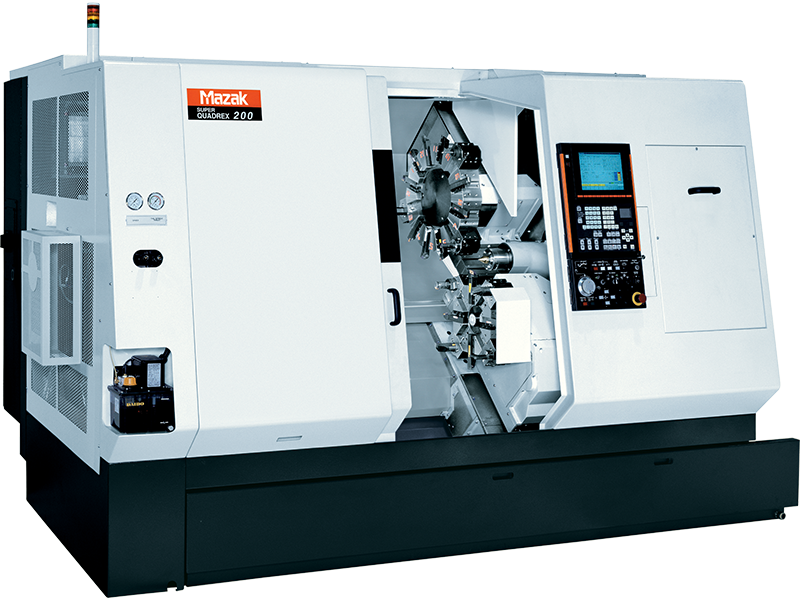 High productivity 4-axis CNC turning center-SUPER QUADREX series.